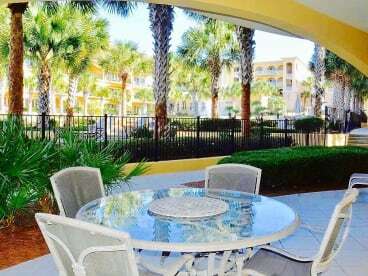 Adagio is located on Scenic Highway 30A in the community of Blue Mountain Beach. It sits on a high dune bluff overlooking a large private stretch of pristine white beach. This beautiful property features 130 units in seven buildings. As you explore our rental options please note that buildings A, B and C are our gulf front units and buildings D, E, F and G are poolside units. Adagio’s amenities are second to none! The main pool is 8,000 square feet with three tiers connected by continuous waterfall features and incorporating a central fountain. Surrounded by spacious lounging decks and seating areas this pool is a delight to all who frequent Adagio. The heated gulf pool is perched at the edge of the dunes adjacent to the beach access and with its infinity edge design it offers unparalleled views of our snow white beaches. 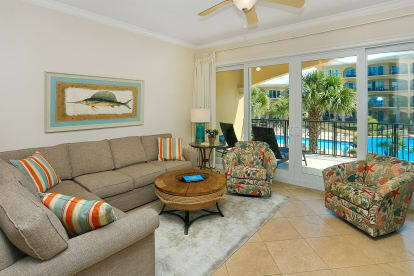 Adagio also offers family grilling areas and a great on-site fitness center. 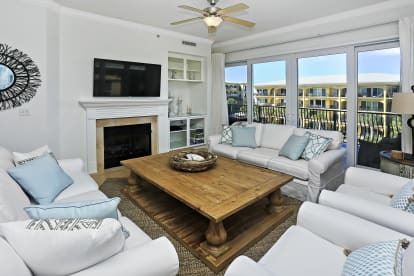 Adagio is perfectly situated on 30A and enjoys quick access to all of the best local haunts.